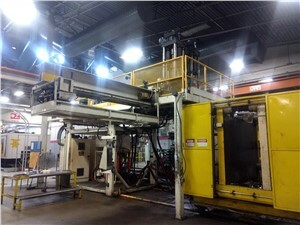 When you manufacture with blow molding machinery, there are many different types of equipment you choose from, but they each have unique capabilities for your plastics process. However, you don’t have to worry about being overwhelmed by all of the technical specs of each type. Arlington Plastics Machinery is here to guide you through the process of choosing the right equipment for your manufacturing needs. In fact, we can help you choose between the two types of intermittent extrusion blow molding: accumulator head and reciprocating screw. If you are working with smaller plastic products, you don’t need the large shot size of the accumulator head. Instead, you can benefit greatly from the even heat distribution of reciprocating screws. 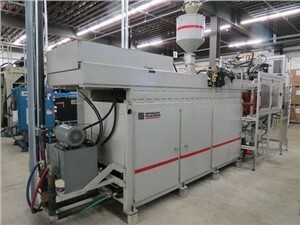 The extruder moves backward and forward similar to an injection molder but with the molds under the die head. 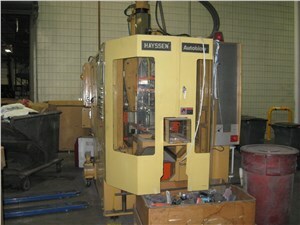 Once the plastic is melted, it is shot into the mold. 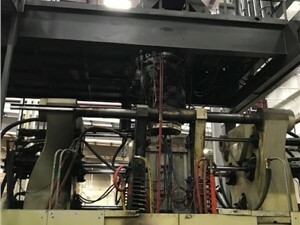 This step is the biggest difference between accumulator heads, which as the name implies, allows all of the plastic to accumulate before being shot into a large mold. 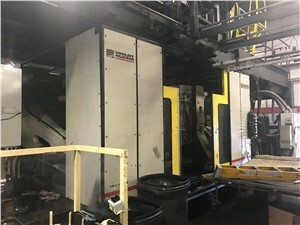 To find out which intermittent extrusion blow molding machine is right for your production process, we encourage you to reach out to us at Arlington Plastics Machinery. Call to speak with one of our knowledgeable specialists about your budget and needs, or we can provide you with a free quote after you submit our online form.